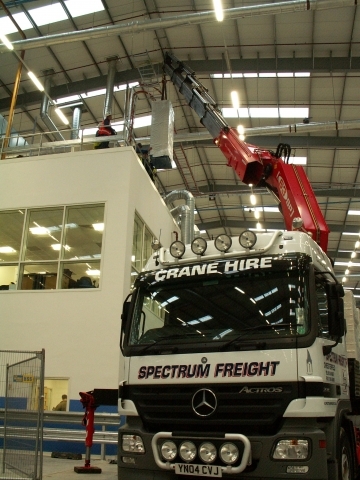 Spectrum Freight Ltd specialise in road haulage and the transport of goods by crane lorries. 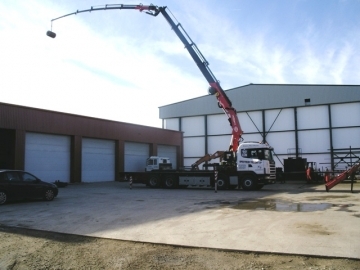 We have a wide range of crane trucks in our haulage fleet suitable for all types of transportation. We do not publish our Environmental Aspects. All goods carried and / or lifted are subject to 2009 RHA CONDITIONS, limit of liability £1300 per tonne,copies available on request. The company holds its own WASTE CARRIERS LICENCE for transport of any non hazardous waste material. Spectrum Freight is committed to achieving and maintaining the highest standards in health and safety and environmental sustainability. Our organisation operates a quality management system and has gained BS EN ISO 9001:2015 certification. To comply with our statutory obligations in all areas of health and safety we have gained BS OHSAS 18001:2007. Spectrum Freight recognises its full responsibility to the environment and has achieved BS EN ISO 14001:2015 In addition to being a member of the Road Haulage Association we are RISQS AUDITED proof audited and have achieved both ACHILLES UVDB B2 andFORS Silver Membership for works carried out on Crossrail Projects.